In this Monday, July 10, 2017 photo, Sesame Street's new Afghan character, a 4-year-old Afghan puppet boy called Zeerak, is seen during a recoding a segment for Afghan version of Sesame Street called Baghch-e-Simsim for the sixth season of the program aired on TOLO a Local Television station in Kabul, Afghanistan. Last year, Afghanistan's version of "Sesame Street" introduced a little girl character aimed at inspiring girls in the deeply conservative Muslim nation. Now a new muppet is joining the cast: her brother, who will show boys the importance of respecting women. Zeerak, whose name means "Smart" in Afghanistan's two official languages, is a 4-year-old boy who enjoys studying and learning. He joins 6-year-old sister Zari, whose name means "Shimmering," on Afghanistan's version of the show, "Baghch-e-SimSim," or "Sesame Garden." Both muppets wear traditional Afghan clothing — the baggy trousers and long embroidered shirt known as a shalwar kameez for him and colorful native dresses and a cream-colored hijab, or headscarf, for her. They join the rest of "Sesame Street's" multi-cultural line-up, which includes muppets specially created for local versions of the program in Bangladesh, Egypt and India. Massood Sanjer, the head of TOLO TV, which broadcasts the program in Afghanistan, said that after the overwhelmingly positive response to Zari from both parents and children, the goal was to create a boy character to emphasize the importance of gender equality and education in a country where the vast majority of girls don't go to school and the literacy rate for women is among the lowest in the world. "In a male-dominant country like Afghanistan, I think you have to do some lessons for the males to respect the females. So by bringing a male character to the show who respects a female character, you teach the Afghan men that you have to respect your sister the same way as you do your brother," Sanjer said. In keeping with that goal, Zeerak proclaimed in a recent episode of the program, "I love Zari so much and as much as I love Zari, I love her friends too." It's an important message broadcast on a medium with a nationwide reach: While television in Afghanistan is largely restricted to urban areas, "Sesame Street" is also broadcast on radio in both official languages, Pashtun and Dari, expanding its audience to most of the country. Both Zari and Zeerak were created in New York and their costumes incorporate fabrics and designs from all of Afghanistan's major ethnic groups to promote inclusiveness in a society racked by decades of conflict. Afghanistan has been at war for almost 40 years, since the 1979 Soviet invasion and the subsequent mujahedeen war that lasted a decade. That was followed by a devastating civil war in which warlords drew lines based on ethnicity and killed tens of thousands of people in Kabul alone. The Taliban took over in 1996, and their five-year rule was one of brutal extremism in which they banned women from work and girls from going to school, confining them to their homes. The radical Taliban regime was forced from power by the 2001 U.S. invasion that ushered in a democratic experiment and billions of dollars in international aid to help rebuild the country. 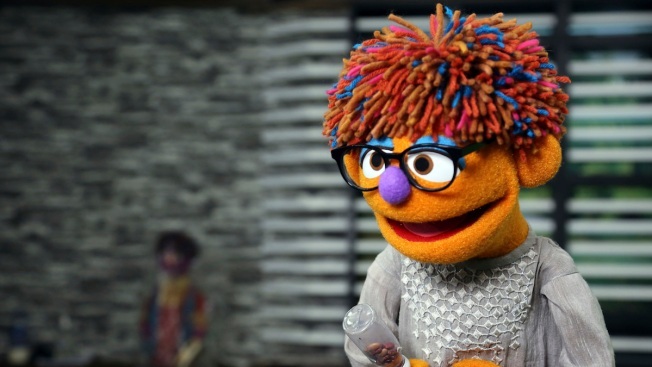 Ahmad Arubi, the producer of the local version of "Sesame Street," said he is hopeful that the new characters will eventually have a wider audience outside of Afghanistan. "Possibly, in the coming years other Muslim countries, which are running this program, might use our characters, such as Zeerak and Zari. They might use our scripts, translate them in their own languages and use them in their countries," he said.